In the game of poker, a Royal Flush is an ace, king, queen, jack, and ten all in the same suit, which is the hand of the highest possible value! 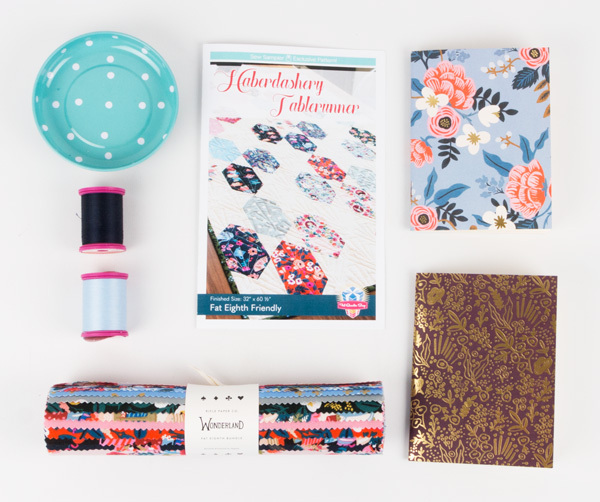 This month's Sew Sampler Subscription Box is definitely a lucky hand! 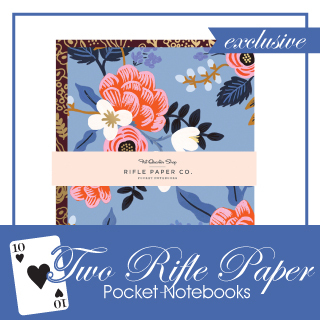 Did you guess correctly on our March sneak peek, which hinted towards the Wonderland collection by Rifle Paper Co. from Cotton + Steel! Are you ready to take a closer look at all of the quilty goodies packed inside March 2017's box?! We sure are!! 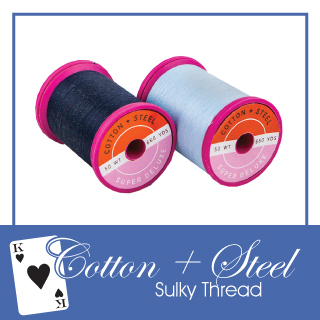 These hues of blue Cotton + Steel Sulky thread is glossy, luscious and perfect for all quilting and sewing projects! The colorful spools are a major dose of eye candy for your sewing room and will have all of your quilty friends envious! Say hello to your new favorite notion! 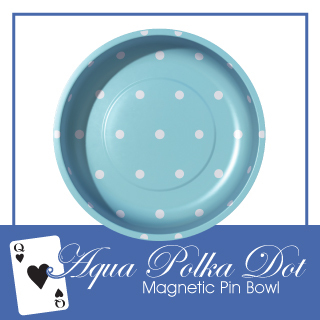 This Aqua Polka Dot Magnetic Pin Bowl is a must-have for our sewing room! Cute and functional, this bowl is perfect for storing pins and needles, and will stick to most metal surfaces! 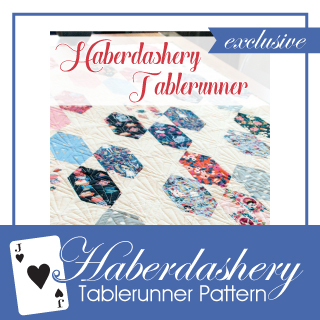 It's always tea time with the Haberdashery Tablerunner! Invite over a few friends, tell a few riddles and let the whimsy fly! This tablerunner is sure to be a topic of conversation! This fun pattern is exclusive to the Sew Sampler box! BONUS: Who doesn't love exclusive products?! We know that we sure do! 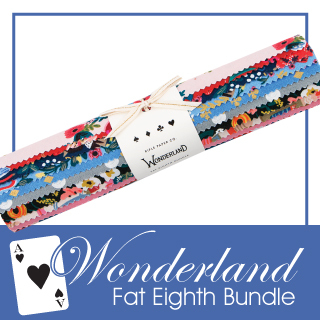 This two-pack of Wonderland-inspired notebooks is perfect for keeping in your bag or at your sewing table to jot down quick reminders and new ideas! 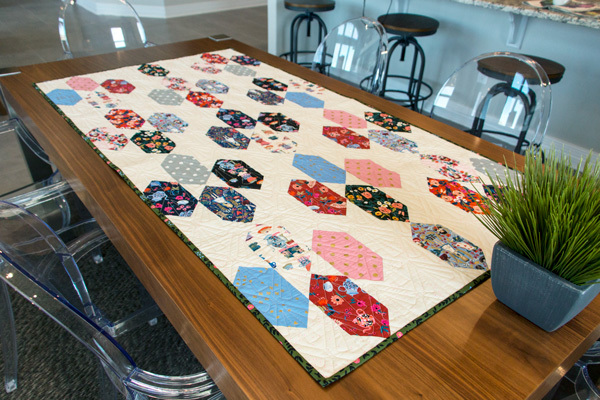 This month concludes the Series 1 SEW SAMPLER QUILT! We have loved each month's recipe card revealing a fun new piece of the quilt puzzle! March's box included Recipe for Block 12 as well as a Finishing Recipe Card! We made this quilt in all three sizes and just love how the bright solid shapes pop against the white and grey! If you aren't a subscription member and want to get these fun patterns, you can purchase them here! You can see all of our Sew Sampler Box reveals on our YouTube Channel, as well as tons of fun tutorials! If you're new to the Sew Sampler Box, don't worry! 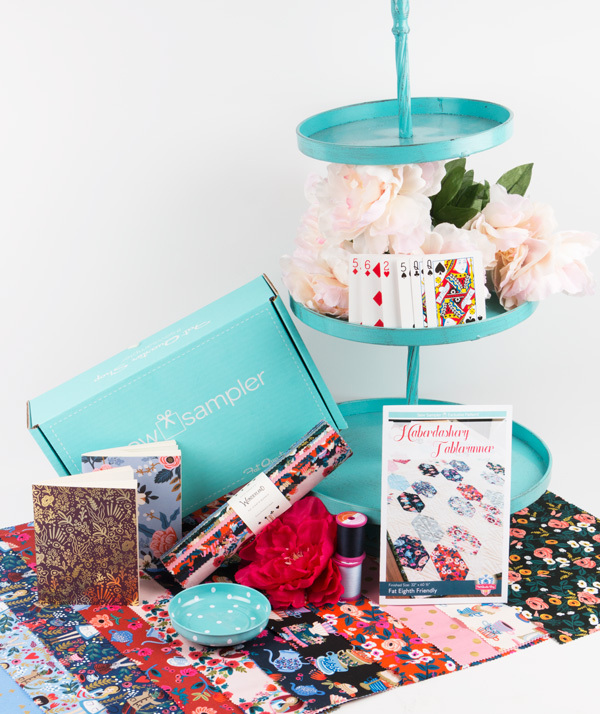 You can sign up now to receive April's little blue box packed full of goodies! 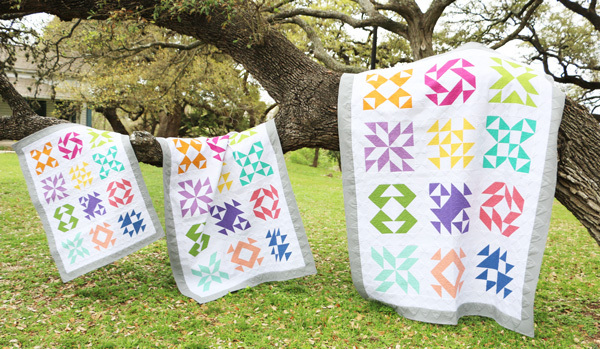 We'll be releasing Sew Sampler Series 2 in April, and we have a full year of quilty goodness planned for you! If you're already a subscriber, no need to re subscribe! Your membership will carry over! Season 2 Recipe Cards will feature exclusive block designs by one of your FAVORITE designers!